If you have spotted a local bookmaker with a bigger than usual smile on their face this week then that will be because it is the bumper Grand National weekend in the UK. Millions of people will have their one bet a year on the famous 4.5 mile race over 30 fences at the iconic Aintree Racecourse in Liverpool. 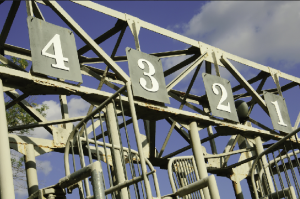 The race is steeped in history and tradition and has produced some of the most iconic moments in the history of horse racing. Few will ever forget Red Rum hauling in Crisp despite trailing by 33 lengths at one point in the race, to win by three-quarters of a lengh. Nor will fans forget Foinavon’s win in 1967 as a 100/1 outsider after a riderless horse caused carnage at a fence allowing the little known horse to clear the obstacle and win the race virtually unopposed. For pure emotion, Red Rum’s third win in 1977, the only horse ever to win the race three times and one of just four to have won it twice or more, is hard to beat. Other highlights have included Bob Champion’s comeback from cancer to win on Aldaniti in 1981, the horse also coming back from a career threatening injury to win the race. With so many incredible highlights since the first race was run in 1839, it is easy to understand why the race remains the biggest betting day of the year in the UK and one of the most important days on the sporting calendar. 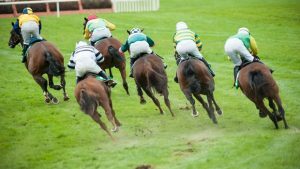 If you fancy a flutter this weekend on the Grand National and want to join a reputable online betting site then bet365 Sport is the place to head. New customers can qualify for the sites bet365 New Player Bonus and your one registration on the site offers you access to its full range of sports betting, casino, poker and bingo gaming sites. The first Grand National took place in 1839. It was a somewhat disorganised affair and the race was delayed by several hours. In amongst all that, Lottery came through to win the race in what is still the slowest Grand National winning time of 14 minutes and 53 seconds. The first back-to-back winner came in 1851 when following on from its success in 1850, Abd-El-Kader was the first double winner of the race. Peter Simple won his first race in 1849 and then won again in 1853 at the grand age of 15. He is still the oldest horse to have ever won the Grand National. The Lamb won in both 1868 and 1971 and in between in 1969 and 1870, The Colonel became the second horse to win back-to-back Grand Nationals. Manifesto won twice in 1897 and 1899 but the next back to back winner came in 1935 and 1936 when Reynoldstown landed the double. Nickel Coin, winner in 1951, is the last time that a mare has won the race. Red Rum is the last back to back winner winning in 1973 and 1974. Ginger McCain’s legendary horse also finished second in 1975 and 1976 before landing a third win in 1977 to be by far and away the most successful Grand National horse in history. West Tip, winner in 1986 after falling in 1985, finished 4th, 4th and 2nd in his next three races before a 10th placed finish in 1990 just before he was retired. Mr Frisk set the record for the fastest ever completion of the Grand National course, winning in 8 minutes 47 seconds. Only one other horse has run sub-9 minutes before or after, (Many Clouds in 2015). Esha Ness was the winner of the 1993 Race That Never Was, with 30 of the 39 runners starting the race despite a false start. 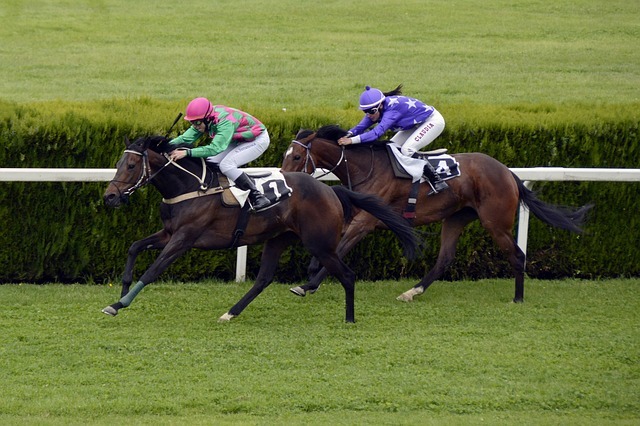 Despite that several horses completed the race and the jockey club decided not to re-run the race. Changes to the start procedure were made after the race. Mon Mome was the biggest price winner in recent times, winning the 2009 race at 100/1, the same price as several other longer-odds winners over the years. Tiger Roll’s win was the second in three years for Gigginstown House Stud, owned by Ryanair boss Michael O’Leary. The first was Rule the World back in 2016. Tiger Roll’s impressive Cheltenham showing has seen him heavily backed in and having completed a Cheltenham/Aintree double last year, many punters feel he is good enough to do the same again this. Anibale Fly, on the back of a fine Gold Cup display has been backed in to 10/1 and after a poor start finished strongly last year to come fourth. Rathvinden has been looking strong in Ireland heading into the race and looks a solid option but the most interesting bet for me is Pleasant Company. The Willie Mullins trained horse almost snatched victory from Tiger Roll last year and had the race been a few metres longer, he would have done. Armed with that experience and in good form, he could go very well on Saturday once again. When a horse is this short a price for a race like the National, you tend to know it is a class apart and though favourites tend not to win the race (there have been more 33/1 winners than favourite winners in recent years) such is Tiger Roll’s quality that he has to be considered as the stand out option if you are backing to win. 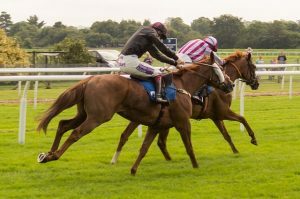 However, for me I feel at those odds, you may be better served looking for value in the each way market and I have a couple of tips for you in that market in particular. I feel both of these 20/1 shots have a great chance to finish in the places this year. Pleasant Company was so unlucky not to win last year and if Tiger Roll has improved since then, I feel Pleasant Company has done so too and at 20/1 he is a great value option. Joe Farrell is an interesting one, a horse with bags of stamina, a solid jumper, he may lack the pace in a slower race to finish hard, but in a quicker race on better ground, he could outpace the majority of the field if he can jump well enough.